Think tech or marketing and you'll likely picture male workers. Luckily, that picture is slowly becoming more gender-balanced. Here, Wpromote explains their internal female-led initiative as well as why predictive lifetime modelling is a key aspect of holistic profit-driven marketing. Female-led, profit-driven marketing is the way of the future. I recently explored the local implications, but it’s also one of the top industry trends overseas. Impressive wording for sure, but even more important is that they’re working on promoting women, as well as profit-driven marketing. 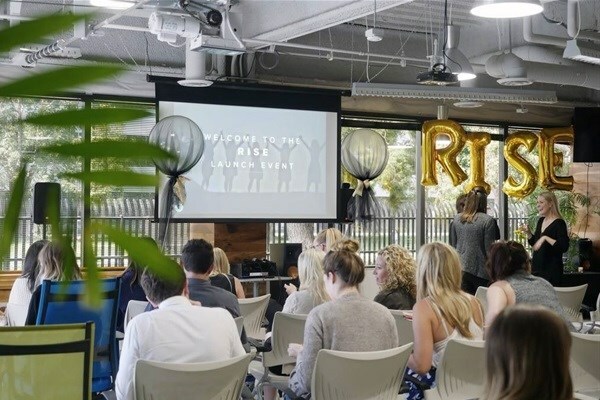 On the former, they’re empowering fearless females and building a culture of equality by amplifying the continued success of their own female employees through their Rise initiative. While a fitting directive in itself, as an acronym ‘Rise’ also stands for ‘Recognise (through internal support and the likes of book clubs and cross-agency collaboration), Influence (having community impact and giving back through external mentorship and outreach), Strength (through internal training and guidance and attending external events) and Evolve (by inspiring others through networking and their own events). Build a community and provide tangible tools for women to empower themselves and evolve into strong industry thought leaders. #FairnessFirst: Attention! Alexa and Siri are not real-life 'women in tech'! On the latter (profit-driven marketing), that may seem the obvious end-goal for any business, but Wpromote recently took this a step further by partnering with Google, to lead the way by concentrating on customer value with a profit-driven marketing approach, helping businesses measure the profitability of their AdWords campaigns through a Profit Calculator. Consider me sold! I chatted to Marissa Allen, vice president of strategy at Wpromote with a strong belief in the full funnel approach, and Simon Poulton, director of digital intelligence at Wpromote with a passion for democratising digital marketing analytics, about how Wpromote’s profit calculator serves as an initial step towards lifetime value or LTV, as well as the importance of collaboration and having a focus on customer value with a profit-driven marketing approach. 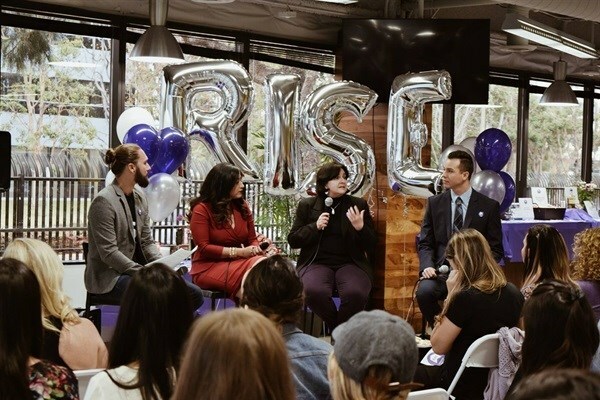 How are you working on better promoting women with the #WhyIRise hashtag, as well as profit-driven marketing, and why are both important? Allen: We started the Rise initiative as we felt there was a need for it at Wpromote, being in a traditionally male-dominated industry. We are extremely proud that 57% of our Wpromote team is female and 60% of our executives are women. Because of that, we wanted to empower the women in our company by building a supportive community that helps them excel within Wpromote and beyond. This is similar to our objective of providing clients with a profit-driven focus for all campaigns, as we empower our employees to test the limits and supply them with the tools and support they need to challenge the leaders in their industry while providing more transparency into customer journeys and detailed insights. Both are equally as important, and it is Wpromote’s goal to treat these initiatives as the standard so that we benefit our employees, business, clients, community, and our industry as a whole. We’ve taken each of the ‘Rise’ pillars and built committees around them, all with different objectives. This includes training and workshops, book clubs, thought leadership initiatives, mentorship, and supporting the local community. For example, for International Women’s Day, we invited three external speakers to participate in a panel discussion about a range of issues affecting both women and others, including immigration, LGBTQ education, and student affairs. These events are open to all Wpromote employees and help to educate us on a wide range of issues that we wouldn’t have necessarily been exposed to. 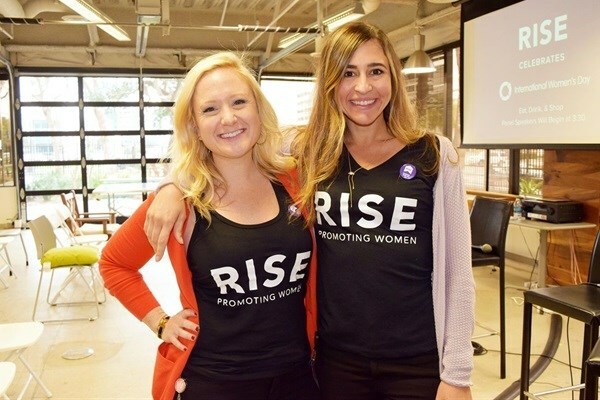 Marissa Allen (left) at the Wpromote Rise event. Amazing. You also partnered with Google to focus on customer value with a profit-driven marketing approach. Explain the importance of incorporating the data businesses have at their hands for CRM and CX in 2018, as well as why it’s important to predict the lifetime value of customers. Allen: We initially partnered with Google because we recognised the need for both our clients and our own account management teams to have access to detailed customer insights, which empowers them to manage campaigns more efficiently. Predictive Lifetime Value (LTV) modelling was necessary for not only our clients to grow, but also to enable our account management teams to take on a more customer-centric approach to strategy and grow their omnichannel efforts. In many ways, one could argue that the customer is the channel and channels are just vehicles to get to the customer. With standard industry practices, we were only looking at CPA, ROAS and other less mature metrics, which don’t illustrate the fuller picture when it comes to developing LTV for your customer base. Poulton: That’s when Wpromote began building its digital intelligence team to gain access to even more insightful data and communicate about ongoing customer data. While many organisations have measured LTV as a KPI, this has a limited impact when we are looking ahead to the future. With a predictive LTV model, we can leverage actual customer data to refine our target cohorts and look to engage the individuals with the greatest opportunity for long-term profit. LTV strategy gives us access to true customer data, which enables us and our clients to make better investment decisions. We pride ourselves on integrated strategy at Wpromote, so the predictive LTV modelling made perfect sense. By looking at all channels, we learn about customer loyalty, the relationship between cost-per-acquisition and cost-per-retention, where we should pull investment away versus where we should add to it, and more. When it comes to larger conversations about profitability, this approach allows us to take into account the big picture by understanding that not all customers are created equal. This approach ultimately empowers our team to be super nimble and quick to take action. 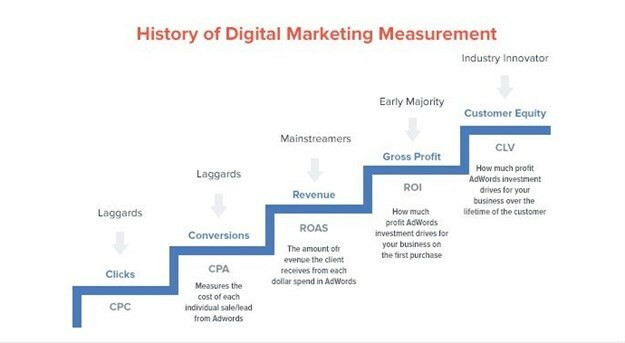 The history of digital marketing measurement. Explain how your profit calculator came about, and how exactly it helps businesses measure the profitability of their AdWords campaigns. Allen: The profit calculator was built in order to clearly illustrate and emphasise the importance of optimising marketing investment toward profits rather than solely CPA, ROAS, or even revenue. Doing so empowers advertisers to establish and achieve the optimal balance between volume and efficiency that will drive the most bottom-line business growth. This tool shows how profitable a business’s AdWords campaign is, which was the foundation for our push to concentrate on customer lifetime value. Instead of looking at just revenue and associated costs, the calculator gives a business an idea as to how many conversions they’re missing out on, how much revenue they could potentially generate, and ultimately, the profit they could achieve each month with appropriate LTV campaigns in place. LTV modelling allows us to push boundaries so we can look at the whole picture and take into account more than just one channel or a couple of KPIs. Sounds like they’ve cracked the secret of women-led marketing that’s truly profit-driven at heart. Find out more by following the #WhyIRise hashtag!